The World Cat 280CC-X is a good example of a modern catamaran designed for fishing and day cruising. 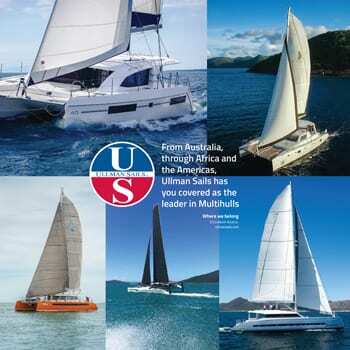 Which is more stable, a catamaran or a monohull? This answer is easy. Despite what you may have read in some boating magazines, a catamaran is almost always more stable than a V-bottom monohull. In fact, the deeper the V, the more prone to rolling the monohull becomes. For example, a monohull with a 24-degree deadrise at the transom is the design with the most potential to roll; more so than, say, a 20- or a 17-degree-deadrise hull, all things being equal. The reason for this is simple. 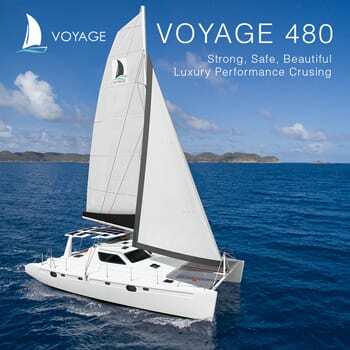 Deep-V monohulls have their deepest center of buoyancy at the keel, and the hull is less buoyant at the chines, which often are flat or reversed to dampen roll. 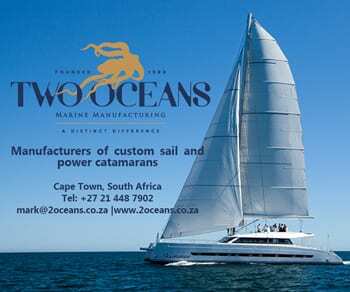 Each hull of a catamaran provides buoyancy closer to the beam ends of the boat, therefore causing a high degree of . . .